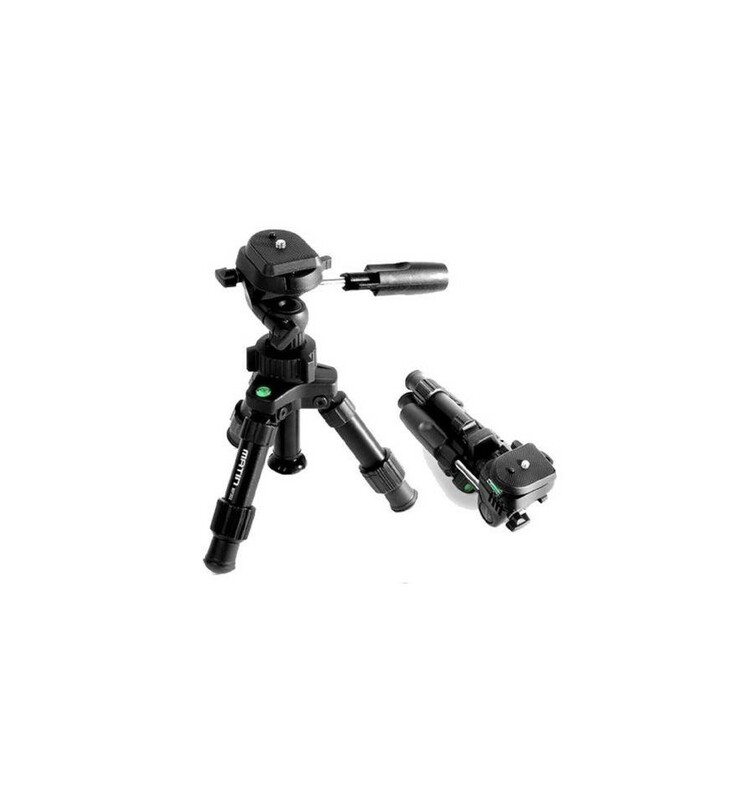 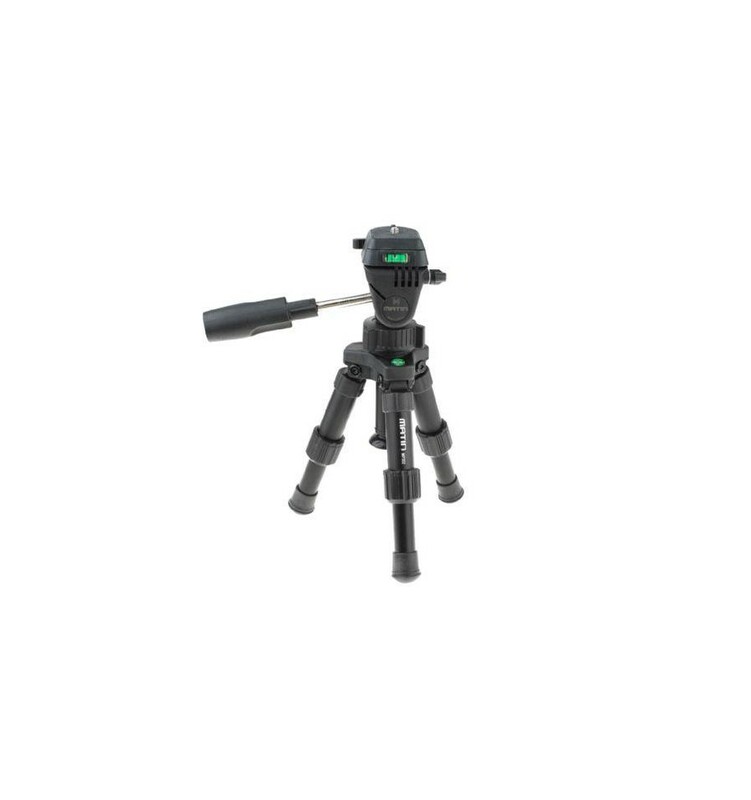 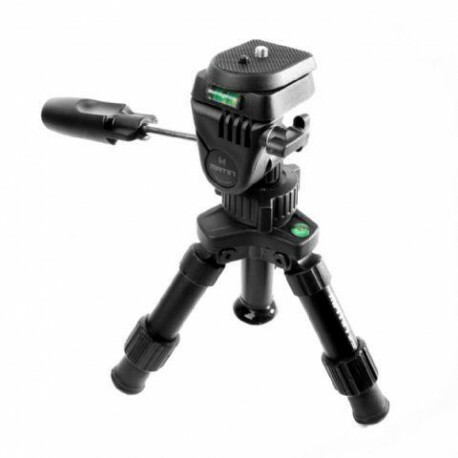 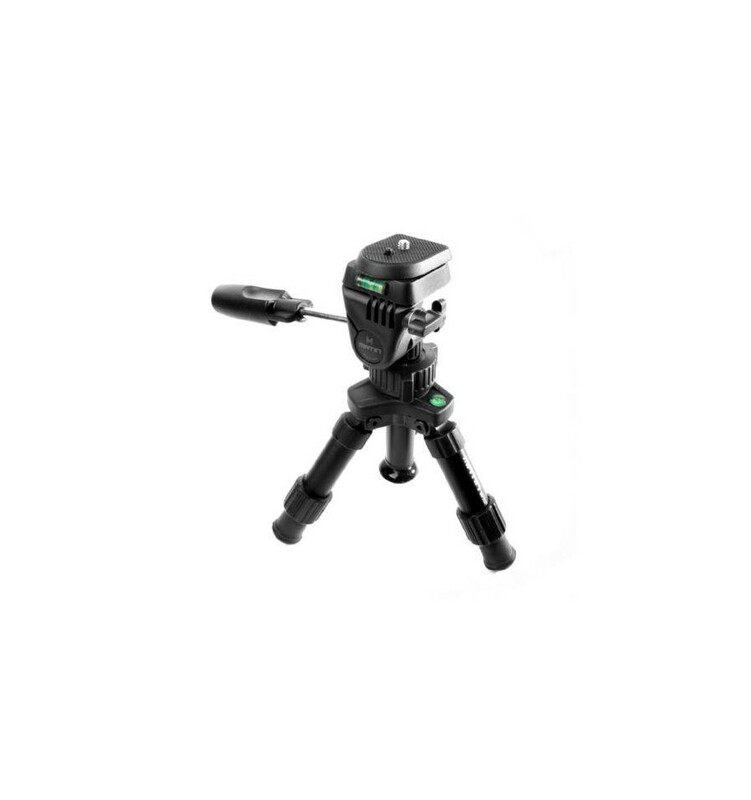 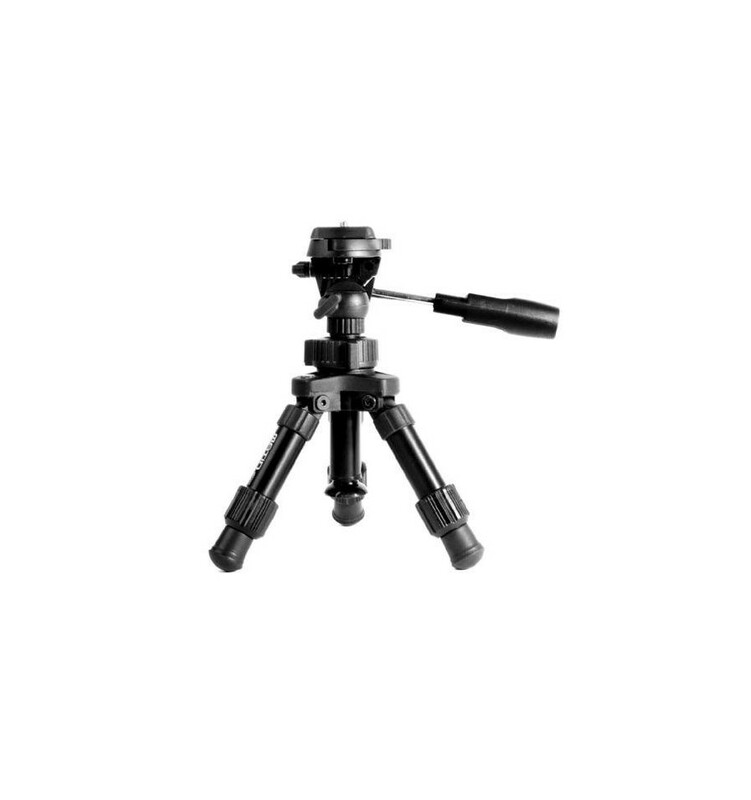 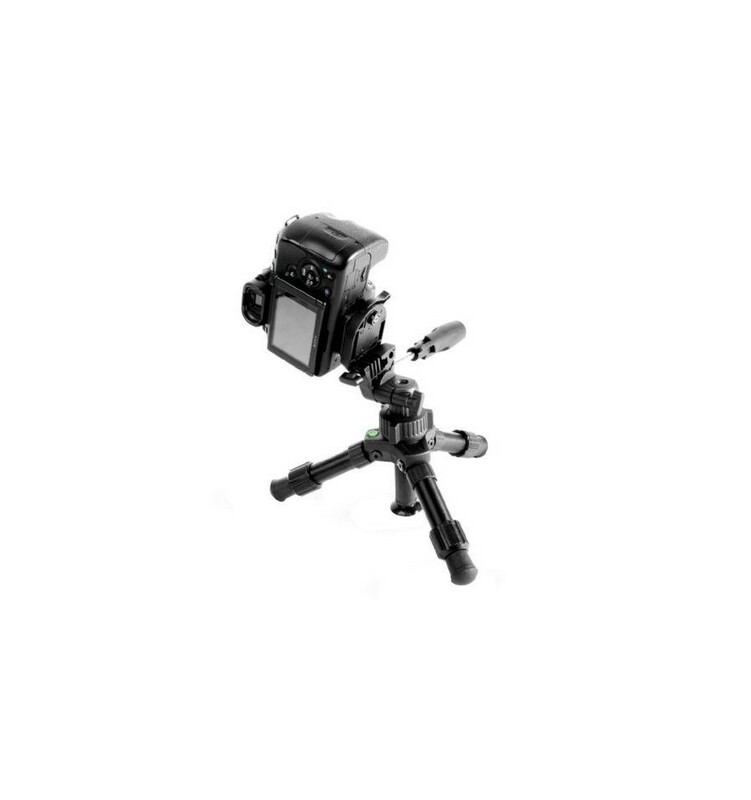 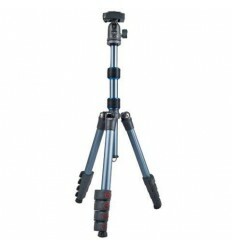 The Matin Table Tripod with Panoramic Head MP-302 is a compact and steady tripod. 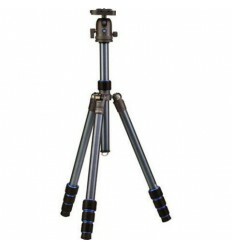 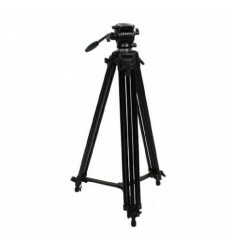 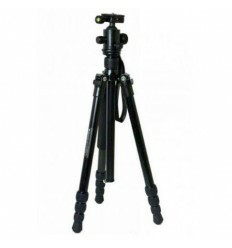 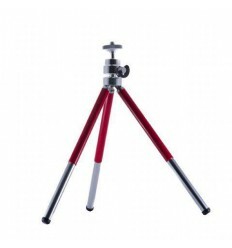 The tripod is adjustable in height up to 30 cm. 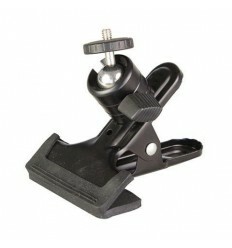 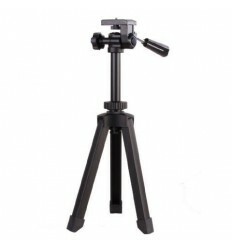 The table tripod is equipped with a panoramic head, with which you can move your camera freely. 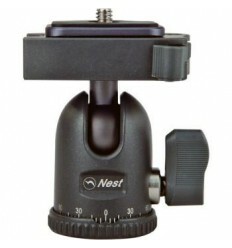 From basic position the panoramic head can bend 90 degrees forwards and 90 degrees backwards. 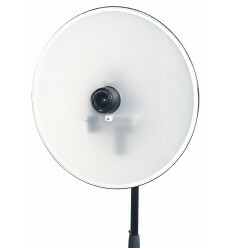 Furthermore it can turn 360 degrees around its axis. 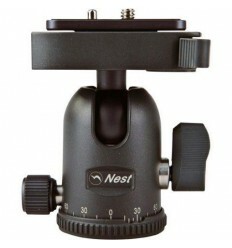 On top of the panoramic head, a 1/4" thread is mounted. 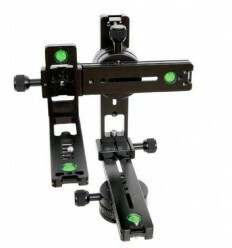 The middle pillar is adjustable in height and has a suction cup on the bottom. 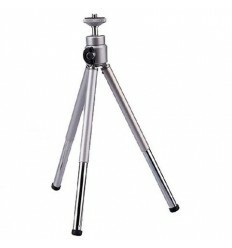 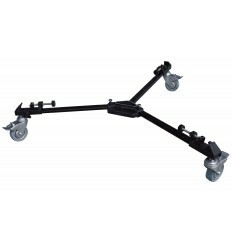 The tripod legs consists of two sections, which makes this tripod suitable for much different variable heights. 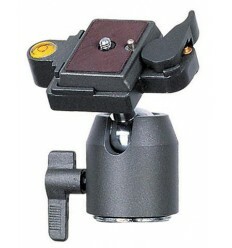 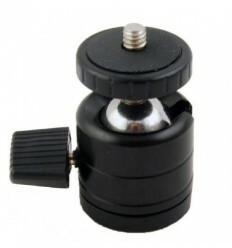 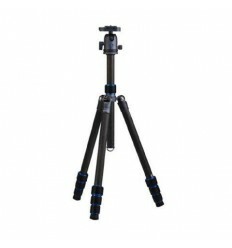 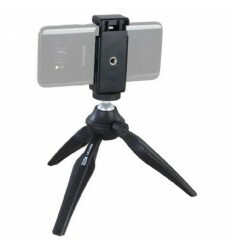 The legs have slip-proof rubber feet which makes the tripod extra steady. 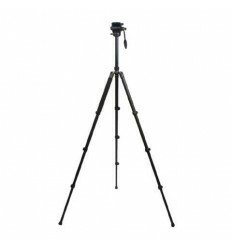 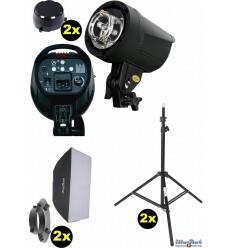 The tripod comes with a small bag for storage and transportation.